Judge James A. Haynes has lifted the stay on Bill Windsor's criminal trial despite pending appeal. If this holds, the trial begins September 28, 2015 at the Missoula County Courthouse in Missoula Montana. What they do in Montana never ceases to amaze me. Here is the order of Judge James A. Haynes received by email this afternoon when I returned to my computer at 6:15 pm CDT. 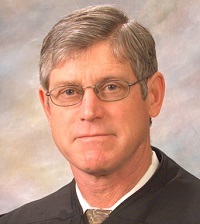 Judge James A. Haynes was hand-picked to handle Bill Windsor's criminal trial in Missoula Montana because he has a relationship with Sean Boushie, the alleged complainant - the man who attempted to murder Bill Windsor, and he has previously protected Sean Boushie from a petition for a protective order filed by William M. Windsor. Judge James A. Haynes actually ordered that Bill did not qualify for a protective order against Sean Boushie after he attempted to kill him because Sean Boushie had not been arrested and convicted. Everyone in America knows protective orders are issued to protect people before law enforcement gets involved. Here is the previous article about my appeal to the United States Supreme Court. On the date that I filed this, I sent it by mail to the Clerk of the Court in Missoula Montana for filing, and I emailed a service copy to Jennifer Clark, the prosecuting attorney. I also sent an email copy to my public defender back-up counsel, Christopher Daly. I published this article the following day. Notice of Filing of Notice of Appeal in the Montana Supreme Court. Judge James A. Haynes also criticized both the State and me for filing things while the case has been stayed. I was told that this was acceptable after the State filed things, or I wouldn't have done it. It's a good thing I did because Judge James A. Haynes is now claiming nothing else can be filed. Talk about outrageous! Judges do whatever they want. They ignore the facts and the law. They even make filings disappear. They have transcripts changed. They violate your Constitutional, legal, and human rights in every way they choose to get what they want.